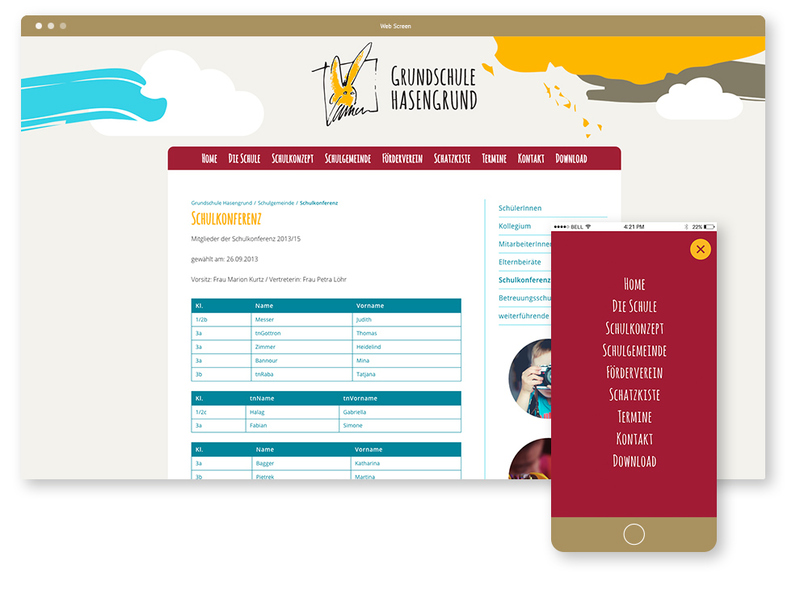 The Grundschule Hasengrund is one of the most recent schools in the city of Rüsselsheim. 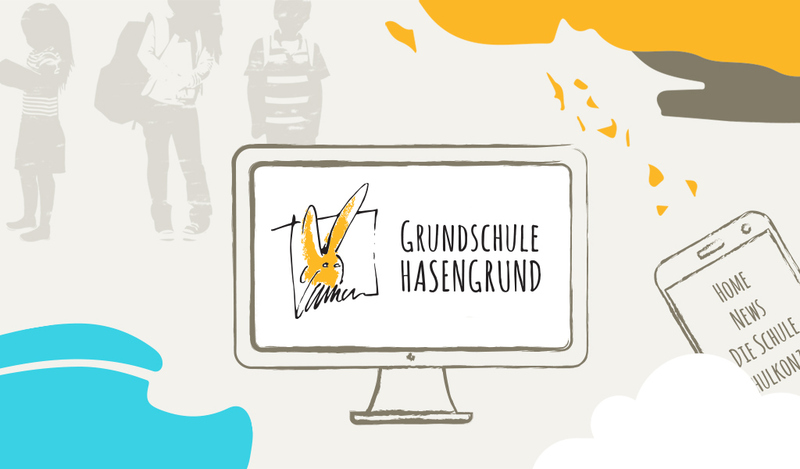 When the district “Im Hasengrund” was planned, it was necessary, in anticipation of higher student numbers, to remove the basic level from the Friedrich-Ebert-Schule and continue as an independent elementary school called “Grundschule Hasengrund”. The Grundschule Hasengrund is a primary school in Rüsselsheim with a mixed population structure: Families with an immigration background (currently approx. 55%), strongly educated, single-parent families and families with social and financial problems. 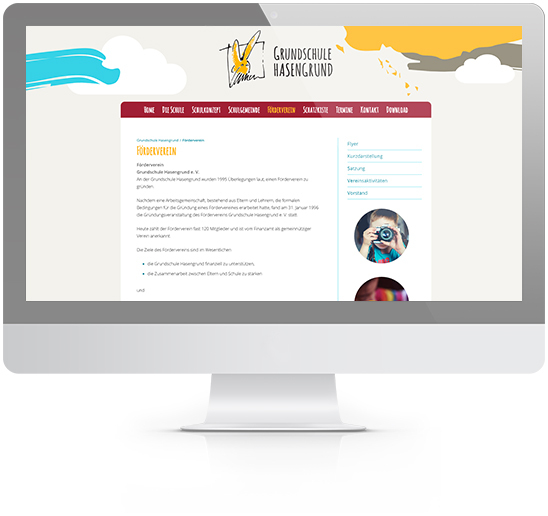 Our web designers and website development team work together to custom build your website around your goals and needs. 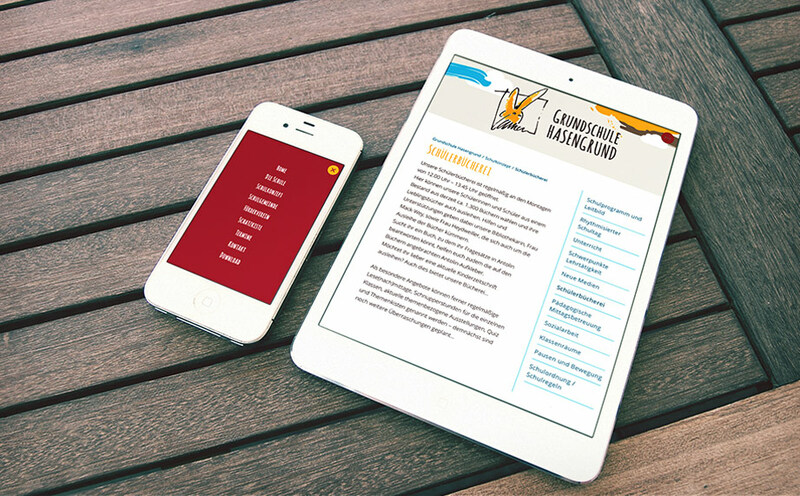 Each website is designed around your brand to create a cohesive approach to your marketing. In responsive design, the device does the work and automatically adjusts according to a device’s screen size (large or small) and orientation (landscape or portrait). It switches between these options on-the-fly. Mediavuk Web Design specializes in responsive websites so your website is a great experience for all or your users.